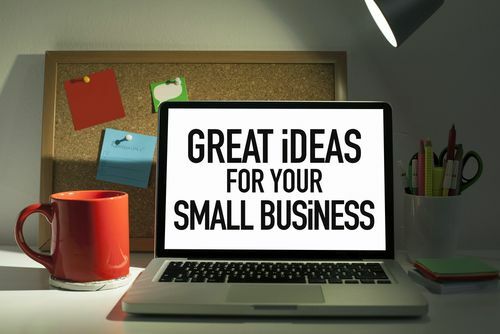 Developing small business marketing efforts that reach your target customer base and achieve the results you’re looking for can be a difficult process. When you’re running a small business in a crowded marketplace, as so many owners, cutting through the fray and reaching out to make sales or pick up new clients becomes even harder. Knowing your competition can help you develop a plan to set your small business apart from the rest. If you’re an upstart in a crowded marketplace, knowing who you’re dealing with can also help you compete. Being familiar with your competition can also help you develop and refine a successful small business marketing plan so your company can grow. Before you can do anything, you need to figure out who your competitors are. This can be achieved in a variety of simple ways, but in many cases you already know who your competition is. The Internet, yellow pages and even walking your neighborhood if you’re a local business can help you figure out who you’re competing with. This is a vital task if you’re going to understand your niche or compete with larger rivals that are already established in your area or field of expertise. Studying a competitor’s website is an important thing to do when you’re trying to understand who you’re competing with in a given area. That’s because you really need to understand how the company wants to be viewed from the outside. After all, figuring out your competitor’s business persona will help you develop a strategy to make your company stand apart. Paying close attention to the websites of your competitors will also help you figure out what services they provide. The biggest reason you need to know your competition is to know what sets you apart and why customers should come to you instead. Take note of what your competitors do and make a concerted effort to offer something they don’t or simply can’t. Small business marketing can be tough, but it isn’t impossible. For most companies, it all starts with knowing the competition. Once you do that, you can find your niche and attract customers to you instead of driving them to your competitors.